MashButtons: To begin, draw an 'S', and now a more different 'S'... | Trogday! 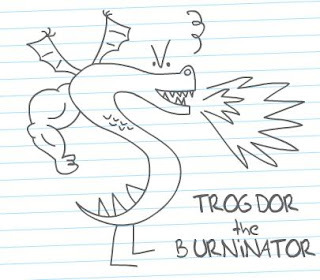 To begin, draw an 'S', and now a more different 'S'... | Trogday! You have about 11 more hours to take advantage of a free complete Episode from Telltale's episodic game series "Strong Bad's Cool Game for Attractive People". 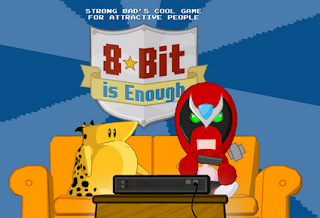 In celebration of the 7th anniversary of the "s" that turned INTO a Dragon, HomestarRunner.com and Telltale are giving away the "8-Bit is Enough" episode from the titular series. 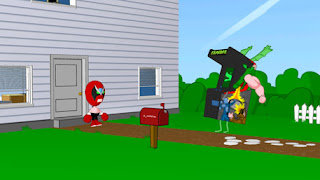 We have a special place in our hearts for the Lord's work that they're doing over at HomestarRunner.com, and even through they've been MIA since 12/1/2009 (year of our Lord); they will always bring a smile to our face. If you're not a fan, (or have no idea what we're talking about), FIRST, go download the free episode, and THEN go check out the site. Trust us, you'll not be disappointed. Go to www.trogday.com and just enter your e-mail and a password (e-mail is for them to send you a serial number). After that, if you like what you've played (or were on the fence before); Telltale is making the full season available for a reduced price of $19.95 (down from $29.95). That's a savings of TEN DOLLARS!!! Act now, don't delay (but wait, there's NOT more).